So I tried something nutty- I used Berocca as a pre-workout. I had the berry flavor and it was really good. Really good.The initial and after taste were both good- better than most products I’ve had in the last 5 years. Perhaps a different flavor would yeild a different result, but berry was what I consumed. Surprisingly there was no gritty, nastiness involved. With a median price of $9 and change USD this product won’t break the bank. All things considered Berocca ends up the same price for 30 servings with a recommendation of no more than 2 servings in a 24 hour period. I’ve seen better deals but this is still cost effective based on it’s ingredients list which is quite full. This product was pretty effective regardless of when I took it or for what purpose. I didn’t get a monster rush of energy per say, but I did get a quick boost that served it’s purpose I did get a “blitz” of Focus. I felt likeninstayed..n task in the gym and off my smartphone. Overall it wwas a good pump. Berocca mixed perfectly. Not only that it was rapidly dissolved and meshed with my sink water. This product was easy to acquire. Online or offline you will be able to get Berocca at your leisure. Overall this product is made as a pick me up. A Sort of 5 hour energy drink if you will. Now me, I love supplements. pre or post workout – I’m in. However, this Berocca experiment was something new. 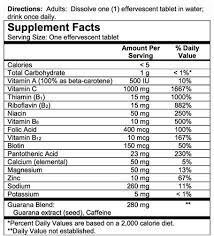 I say this aa Berocca is not your typical gnc or bodybuilding.com supplement. What Berocca is though is a great pre-workout . I came to this conclusion due to the lack of jitters and great list of ingredients. I also dig the simple tube carrier case.Not only compact, but tight sealing as well . The fact that it was not a messy powder that gets into everything was a plus as well. 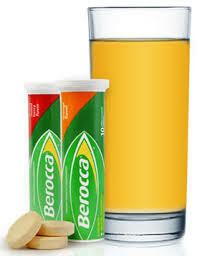 If you are looking for a boost after work, before the gym- Berocca is an excellent choice. This entry was posted in BodyBuilding, Food/Meals, Health and Human Body, Supplements, weightlifting and tagged b12, b6, berocca, biotin, bodybuilding, caffeine, gains, guarana, pre-workout, supplements, weightlifting. Bookmark the permalink.